I love taking photos of buildings and when I first came across the Old Hill Street Police Station, I was awestruck ! 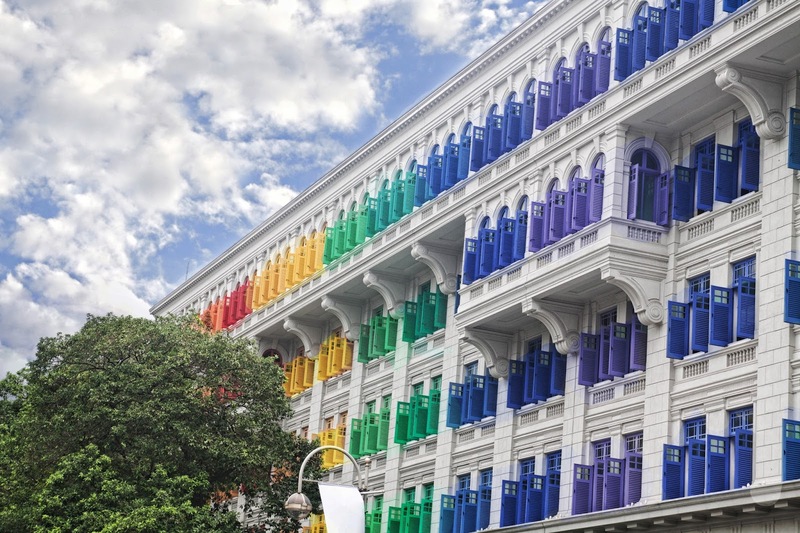 The massive colonial style buildings with its bright rainbow coloured windows certainly stood out from its surrounds. I immediately set up my tripod and started taking shots, at that point in time I didn't know anything about the building and my guess was that it was an Art Centre or Museum. On researcher online I found that it was an old police station and boy was I surprised. The building was completed in 1934 to house the Hill Street Police Station and Barracks. 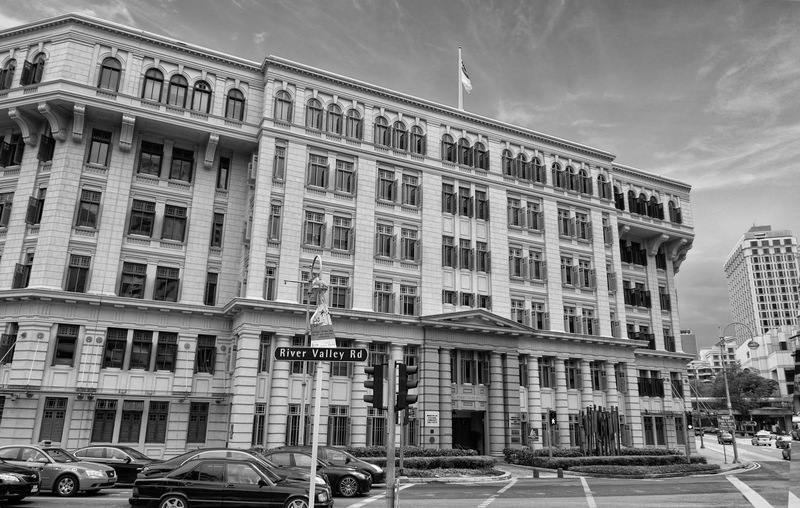 At the time of its completion it was the biggest government building in Singapore. The police force vacated the building in 1980 and later it was declared a National Monument. 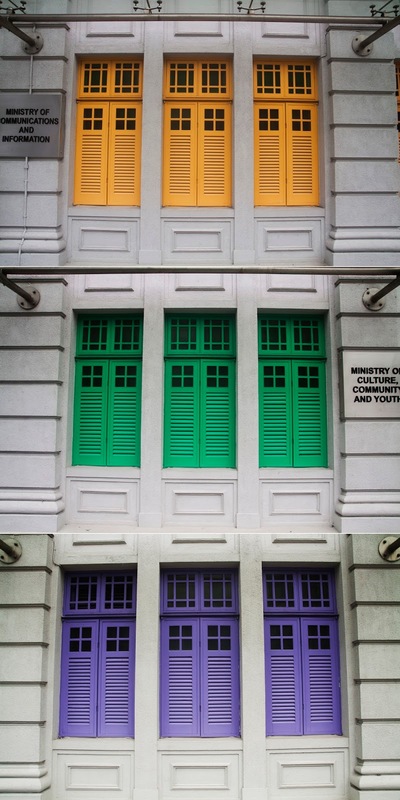 Now the building is occupied by the Ministry of Communications and Information and the Ministry of Culture, Community and Youth. 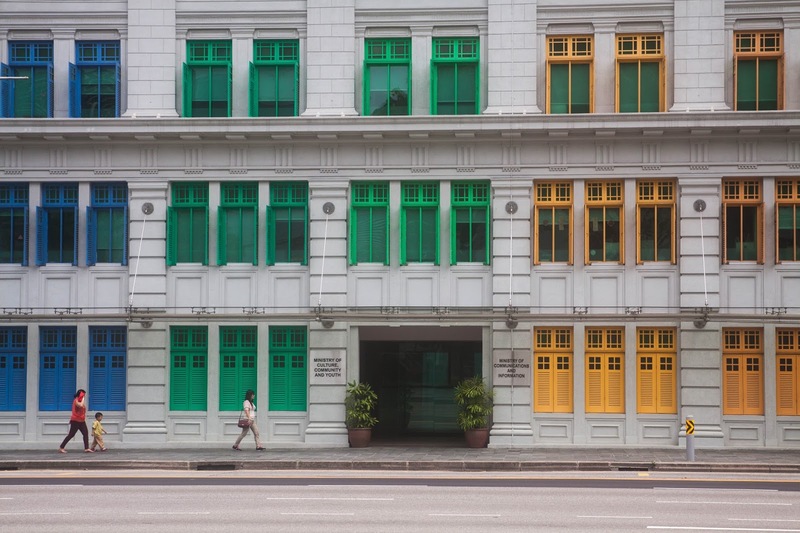 The Old Hill Street Police Station building is a short walk from Clarke Quay MRT station. I came across the building on my walk from the MRT station to Fort Canning Park. 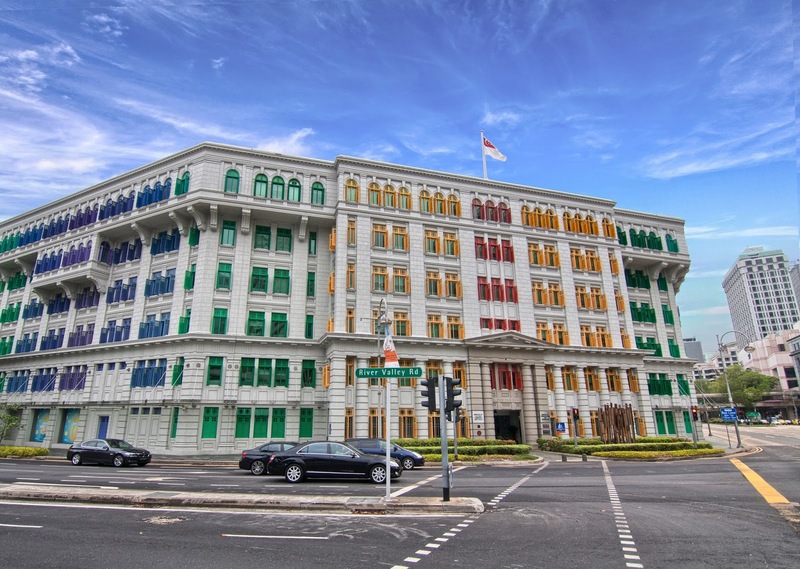 Also worth checking out is the Central Fire Station the oldest one in Singapore.